policy – One Billion Hungry: Can We Feed the World? 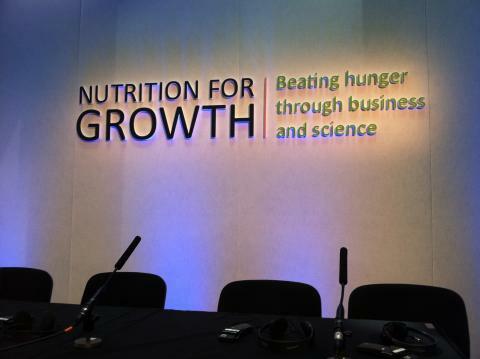 The 2nd of June marked the one year anniversary of the Nutrition for Growth summit in London hosted by the UK Department for International Development, the Brazilian government and the Children’s Investment Fund Foundation. During the summit, over $4.1 billion was pledged to nutrition programmes until 2020, a financial commitment unprecedented and one that put nutrition in the spotlight. On the 2nd of June, an event hosted by the School of African and Oriental Studies entitled, Nutrition for Growth – one year on, reported progress made since the summit. Nutrition has been gaining momentum on the international stage over the last few years: from the Lancet series on Maternal and Child Health in 2008, to the Scaling Up Nutrition movement begun in 2010, to the World Health Assembly targets on nutrition agreed in 2012. Dialogue at an international level about how to integrate nutrition in decision making is happening, in part spurred by the cost of malnutrition to the global economy. Ahead of the summit, the UN Food and Agriculture Organisation announced that the cost of lost productivity and healthcare due to malnutrition could be as much as 5% of global GDP, or $500 per person. 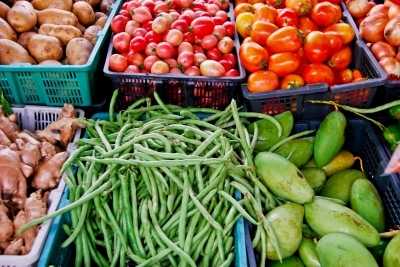 In November this year the Second International Conference on Nutrition will take place in Barcelona and ongoing discussions around the post-2015 development goals will likely feature nutrition in some way. 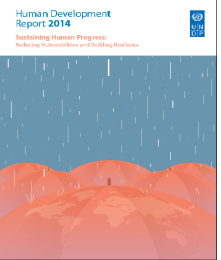 Proposed goals and targets on Sustainable Development for the Post-2015 Development Agenda were released recently by the UN and include targets to reduce both stunting and wasting. A new report recently released by the United Nations Standing Committee on Nutrition, entitled, The Nutrition Sensitivity of Agriculture and Food Policies, investigates, through eight country case studies, current understanding of effective nutrition-sensitive agriculture and food policies, and the development of food-based solutions that help countries to scale up nutrition. Recognition of the links between agriculture and nutrition is growing, and both countries and institutions are working towards making agricultural policies more nutrition sensitive. The report discusses the work of Brazil, Malawi, Mozambique, Nepal, Senegal, Sierra Leone, South Africa, and Thailand to make agriculture, a sector important for both economic development and livelihoods in many developing countries, more able to address issues of nutrition insecurity, gender inequality and resilience. The links between agriculture and nutrition are complex, and not well understood. In particular our knowledge of how agricultural programmes or policies can impact nutritional outcomes and consumption patterns have only recently begun to be investigated. As agricultural systems become more complex and global in nature, the links to nutrition, experienced at an individual or household level, become harder to understand and manage. What is understood is that the current food systems are not well designed to provide nutrition security and, for those countries suffering a high burden of malnutrition, guidance and practical advice in making nutrition-sensitive policy decisions and measuring their impact is needed.